Now that’s out of the way, on to the real reason I wanted to write this post. I wanted to share this experience to encourage you to have self-belief and to persevere. Okay, so I’ve hardly cured a plague or established democracy in North Korea. But I am starting to accomplish what I set out to achieve. Something which required me to take a gigantic leap of faith and trust myself (and my skills) enough to take a bold step into the unknown. I could have decided that I was taking on too big a challenge. I could have let all those self-doubts take over and listen to the nagging thoughts that told me I wasn’t good enough or that people would laugh at me, rather than my fabulous humour! But I didn’t. I had self-belief and I took a bold step. And now, to some extent, it’s paid off. 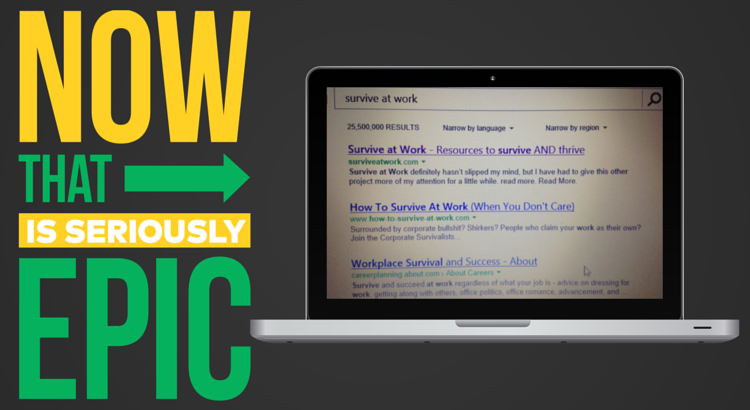 After all, here we are… on a site ranked number one out of 25.5 million results in Bing. 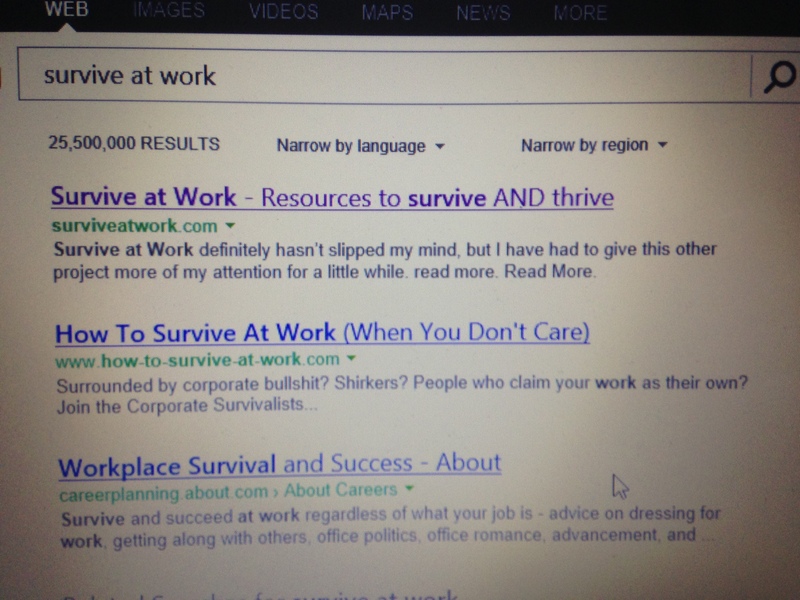 Of course, the other side of the coin is that right now, I could be beating myself up about Google. After all, I’m still not on the first page over there. 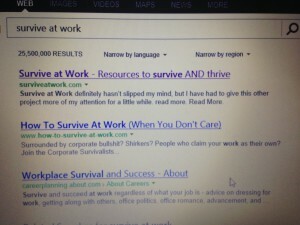 Actually, a quick search for Survive at Work as I was writing this, showed that I’m listed on page 9 of the Google results. Which still isn’t bad, considering that was out of over 163 million results. But it’s not number 1. However, that’s where the perseverance comes in. 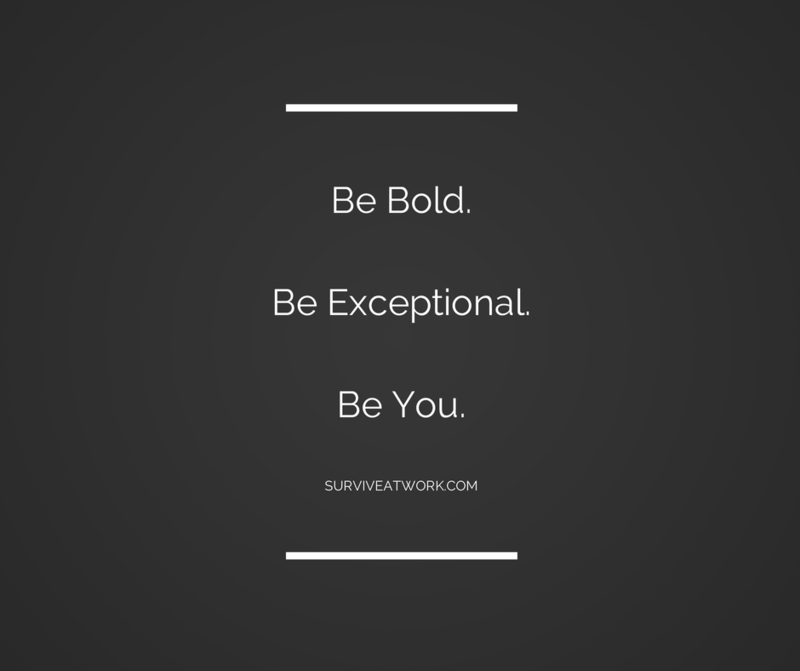 Yes, I could go all glass half-empty… but my boldness and self-belief has got me thus far and I know it’ll eventually get me to #1 on Google too – it’s simply a case of holding my nerve. So, that’s the end of my really short (but not as short as I thought) post.